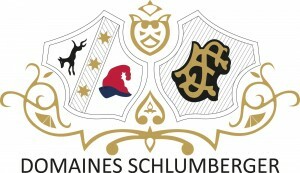 Domaines Schlumberger now own 130 hectares of vineyards, 70 of which are Grand Cru. The grapes for the Christine (named after Christine Schlumberger (1894-1971) who managed the estate for 20 years) come from the Kessler vineyard, which has pink sandstone soil and faces east, south-east, which protects it from north winds and cold air streams in the valley. Yields are 35 hl/ha. Kessler produces structured and elegant wines. After good weather over the summer months, without extreme temperatures, the pre-harvest conditions were ideal with clear and sunny days and cool nights. 2011 was a classic vintage, the hallmark being wines of structure created by high levels of tartaric acid.. The Late Harvest (an appellation since 1984) wines are harvested at over-maturity, several weeks after the harvest. Contrary to certain types of sweet wines, they maintain a freshness and natural acidity with a unique flavour. Bearing the name of family members, these wines are exclusively produced in vintage years.